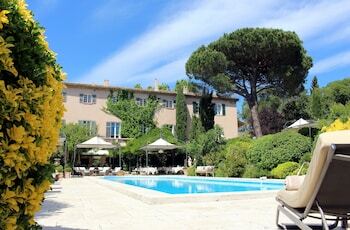 With a stay at Le Mas de Chastelas in Gassin, you'll be within a 15-minute drive of Saint Tropez Citadel and Cogolin Beach. Featured amenities include complimentary newspapers in the lobby, dry cleaning/laundry services, and a 24-hour front desk. Free valet parking is available onsite. Located in Strasbourg, Le Gabriel is within a 15-minute drive of Covered Bridge and Tomi Ungerer Museum. Located in Le Coudray, B&B Hôtel CHARTRES Le Forum is within a 15-minute drive of Church of Saint-Andre and Fine Arts Museum of Chartres. Free self parking is available onsite.